The SureCall Fusion5X 1.0 has been discontinued and replaced by the new and improved SureCall Fusion5X 2.0 kit. 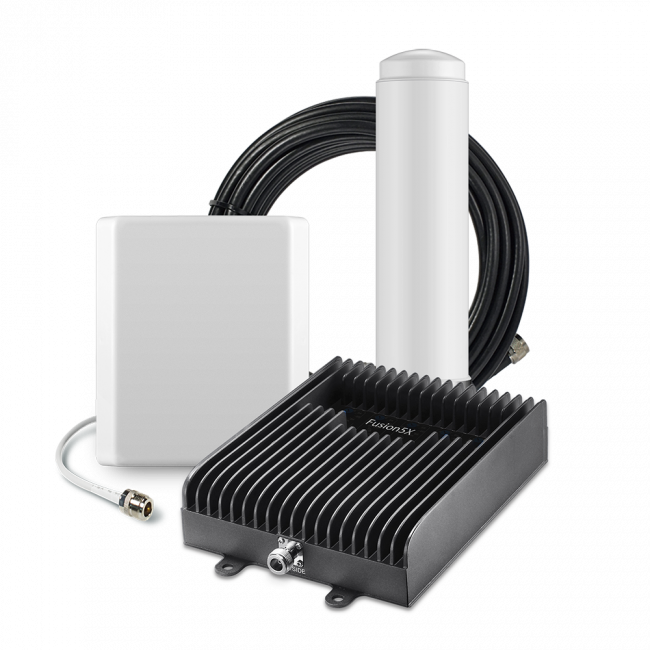 The SureCall Fusion5X Kit with 1 inside antenna is an ideal signal booster for situations where you have a strong signal outside and need to ensure that your booster is not overloaded with too much signal, while still covering a small to medium area inside of the building. 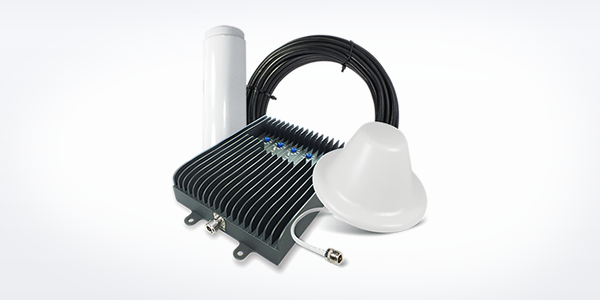 You have the choice of a panel or dome inside antennas, so you can customize the kit to fit the inside ceiling type. Able to handle a very strong outside signal (+12 dBm) and turn that into a significant amount of coverage inside. Strongest gain (boosting power) allowed by the FCC, for the most coverage inside with a strong outside signal. 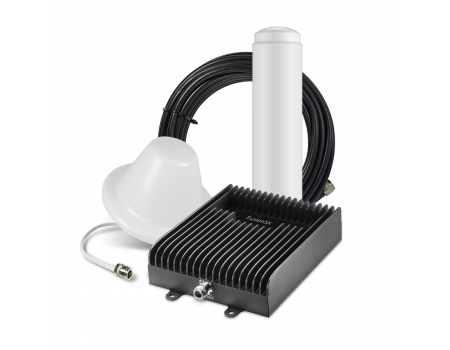 The SureCall Fusion5X Kit with 1 Inside Antenna is an ideal solution for small to medium size buildings with a strong outside signal. 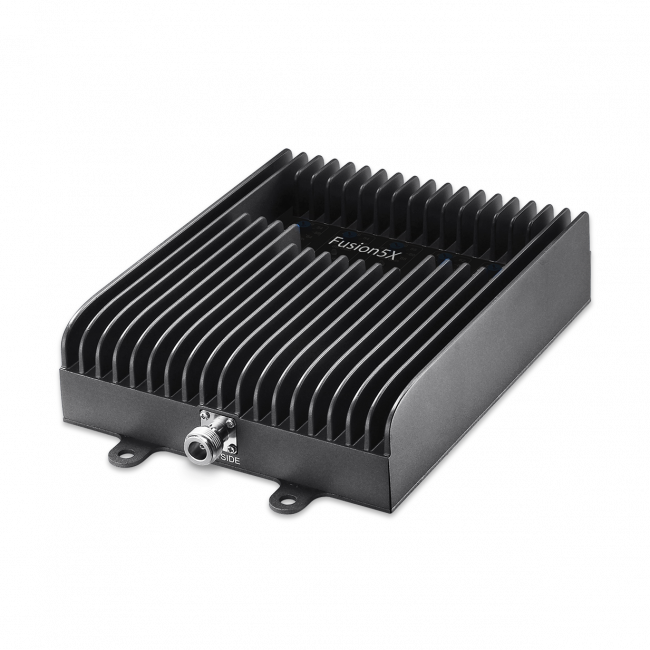 The increased downlink capacity means the amplifier can handle a very strong outside signal that would overload most other amplifiers. 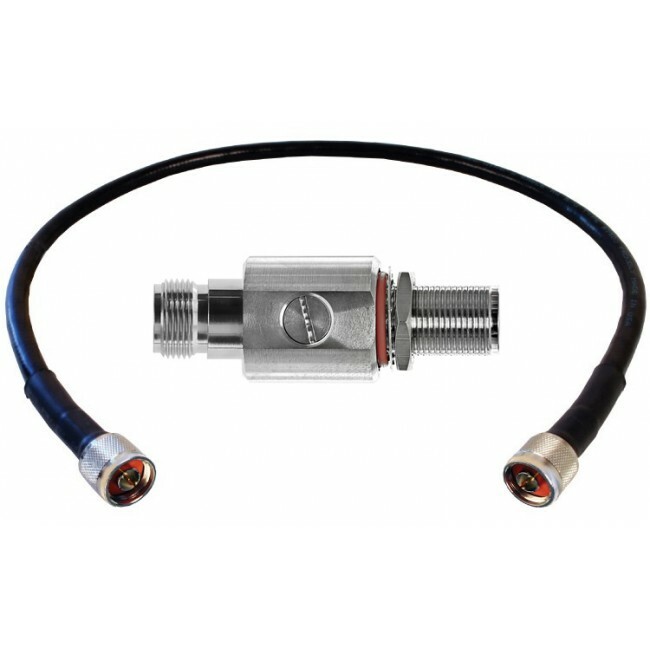 The different inside antenna options allow the system to customized to your specific situation, so you can maximize the effectiveness and minimize the installation issues. 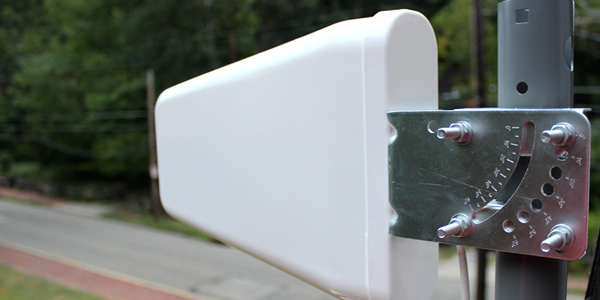 The SureCall Fusion5X signal booster with 1 inside antenna uses an omnidirectional outside antenna (sends and receives in all directions), and either a panel or a dome inside antenna, so while the operation of the booster system is the same, there will be slight differences in the installation based on the inside antenna type that you choose. 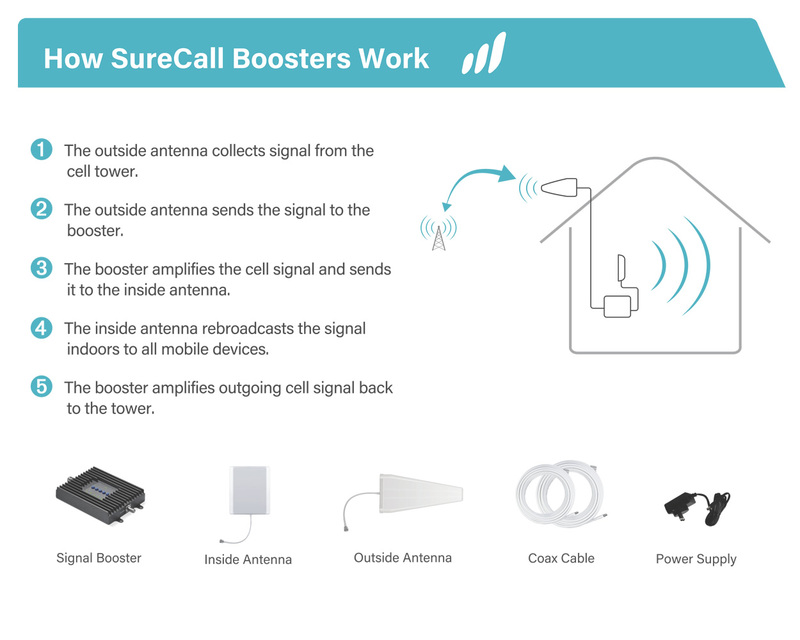 The general way that the SureCall Fusion5X works is that the outside antenna is mounted at or above the roofline of your home or office, in a location where it can pick up the strongest existing outside cell signal. 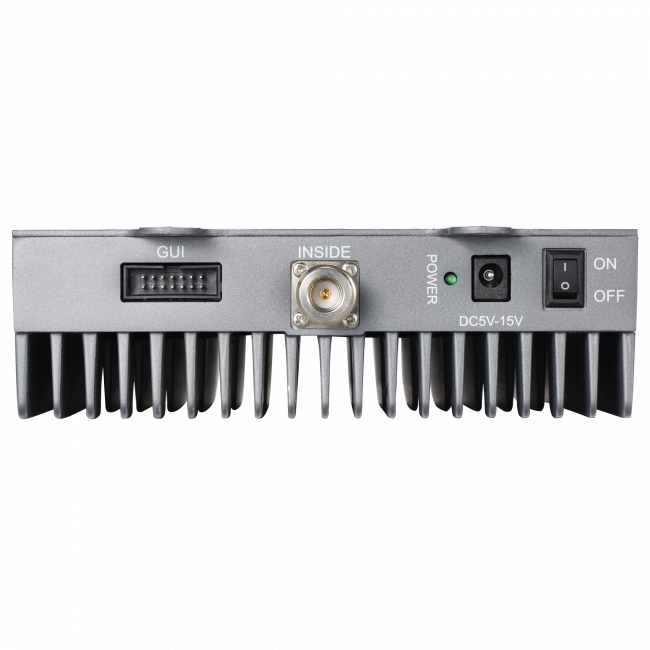 The cell signal is received by the omni antenna and is sent over a cable into the building, where it is received by the Fusion5X amplifier. 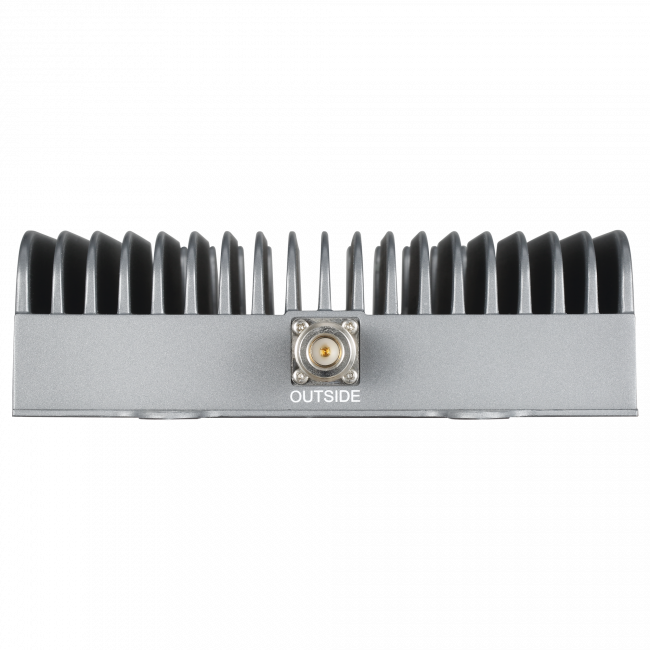 The amplifier boosts the cell signal significantly, and then sends it over another cable to the inside antenna. The inside antenna then broadcasts the improved signal to the area where it's located. 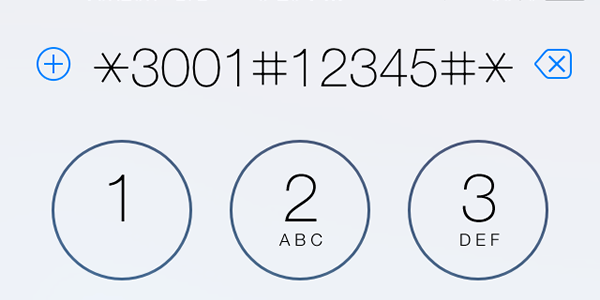 The entire process also works in reverse, so you get a strong and reliable connection back to your carrier. Panel Inside Antenna: This antenna type has 10 dB of gain and is generally mounted on the ceiling aimed downwards in the center of the space that needs boosted signal, but can also be laid face down on the floor of an attic or space above the ceiling, again in the center of the space that needs boosted signal, and it will broadcast boosted signal through the floor to the space below. 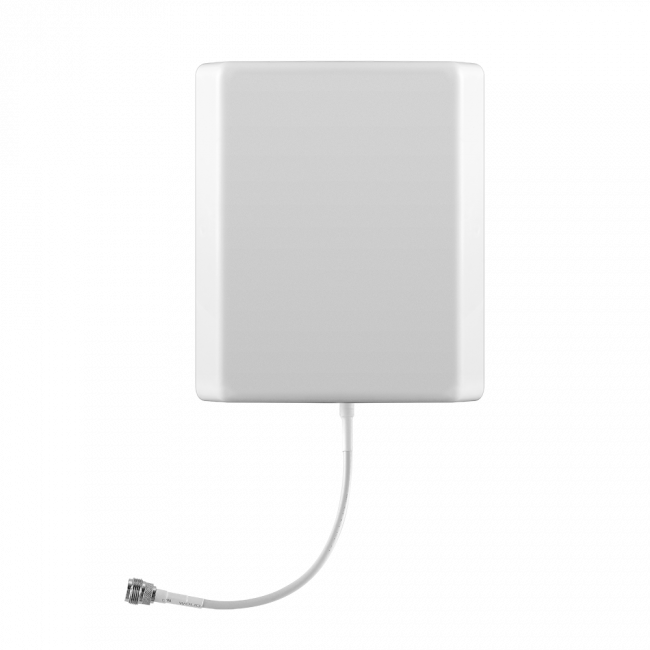 Finally, panel antennas can be mounted on a wall and broadcast boosted signal across a space. 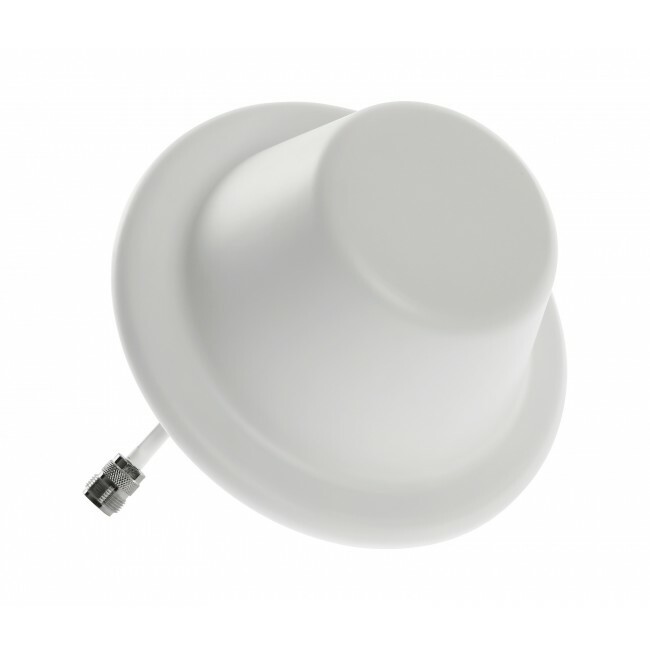 Dome Inside Antenna: This antenna type has 5 dB of gain and can only be mounted to a ceiling and you must have access to the backside of the ceiling in order to run a cable to it, so it's best for drop ceilings or locations where there is an attic above the ceiling. Dome antennas work best for single floors but can possibly cover multiple floors depending on the floor construction. 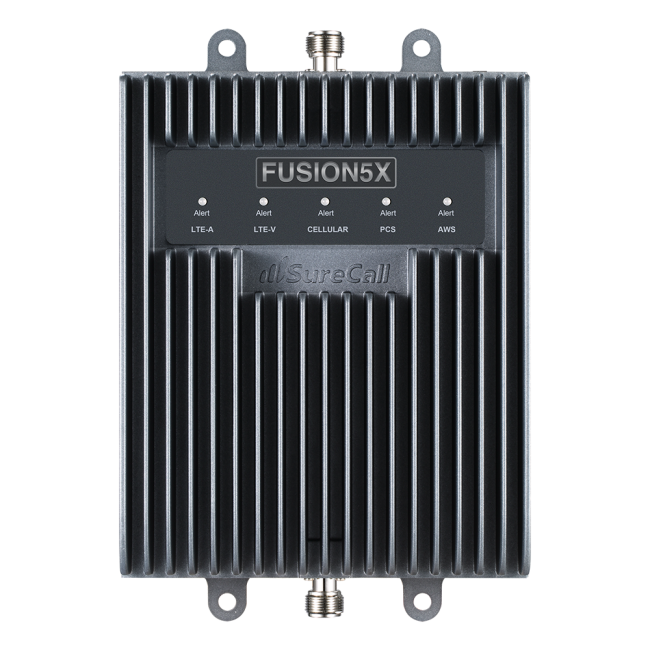 If you need more coverage than one system will provide due to a weak outside signal, you can install multiple SureCall Fusion5X systems in your home or business. Please contact us for assistance with mapping out the ideal location for each system. 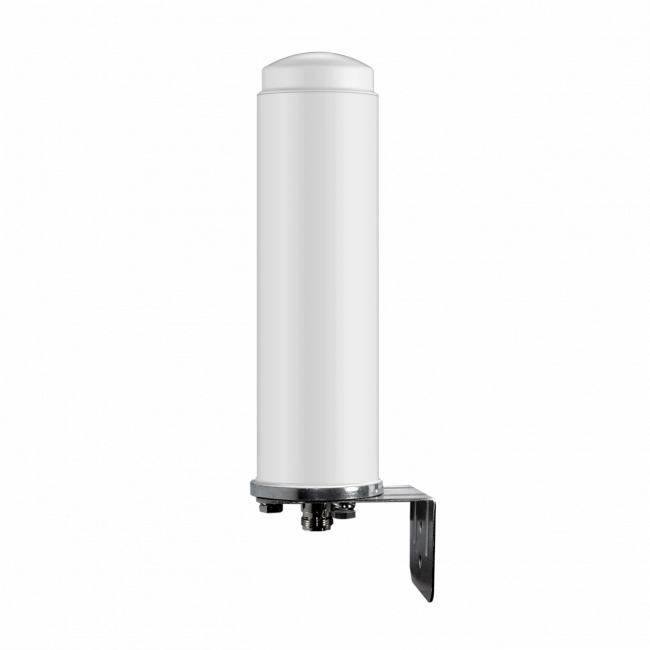 If you have a strong existing outside signal and need more inside coverage than the SureCall Fusion5X with 1 antenna provides, then the SureCall Fusion5X Signal Booster with 2 or 4 inside antennas may be a better option for you. If you need an even stronger option than that, you would want the Force5 2.0 Enterprise Signal Booster, and you would most likely want some assistance with designing a system to maximize the effectiveness of that amplifier. Please contact us if you have any questions or would like more information about this system. The SureCall Fusion5X has been designed to work with all cell phones and all carriers in the United States, Canada and Mexico, as well as carriers from some other countries in Latin America, South America and Australia. 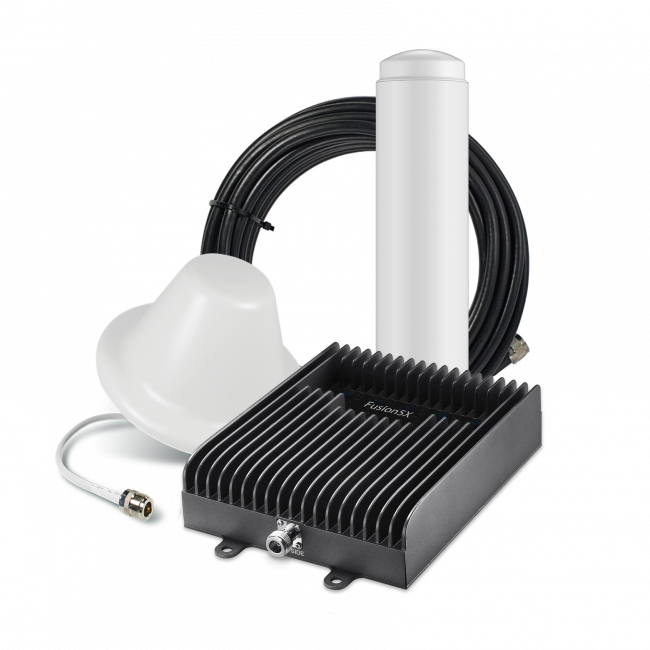 Installing the SureCall Fusion5X Signal Booster Kit with 1 inside antenna is fairly straightforward, but will require running cable from the roof or elevated location into the building, as well as potentially drilling and screwing in components. If you feel comfortable with this level of installation, then feel free to proceed, otherwise you may want to consider hiring a general contractor, electrician, satellite TV installer, or handyman to assist in the installation. We'll start the installation from the roof and work our way into the house. First, start by determining the part of the roof that receives the best signal, as we'll want to locate the omni-directional antenna there with a full 360 degree view of the horizon. Once you've identified the portion of the roof which is best, mount the omni antenna as high up on the roof as possible and run the 75 ft. cable from the antenna into the attic of the house, if possible through a vent or soffit, but you may need to drill a hole at this step. Once the cable is inside the house, we recommend running the cables and locating the inside antennas in the attic of the house (If this is not possible, please call us to discuss other installation locations). The amplifier can either be located in the attic if there is an area with AC power, or down in the living space for easier access. To start Run the cable to the area where you plan to locate the amplifier. 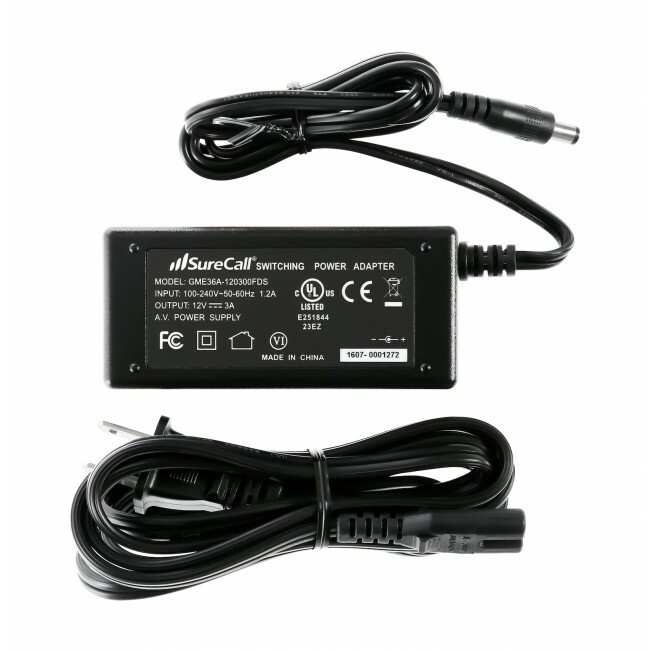 If you've purchased a lighting surge protector, attach that now, and then connect the 2 ft cable to the "Outside Antenna" port of the amplifier. Otherwise directly connect the outside cable to the "Outside Antenna" port. 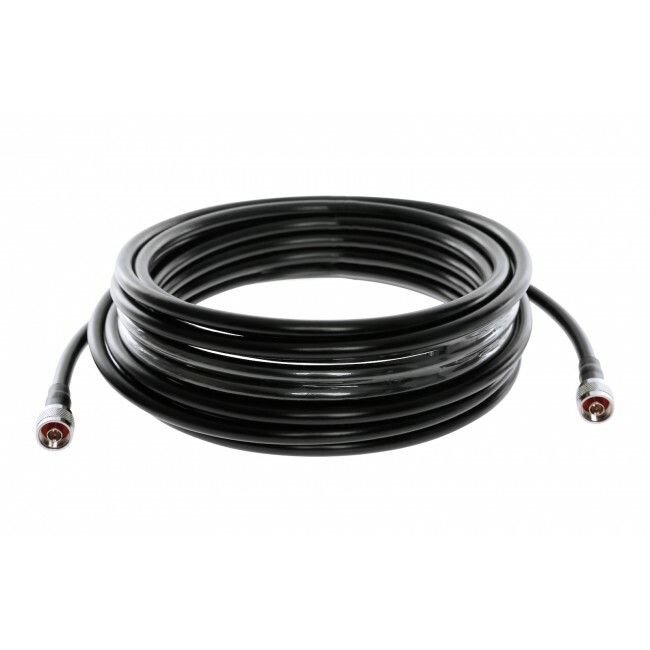 Connect the 30 ft cable to the "Inside Port" on the other side of the amplifier, then run the cable to the location where you plan to mount the inside antenna. If you're using the panel antenna, run the cable to the part of the attic above the living areas that needs signal, and then connect the antenna. Lay the panel antenna face down on the floor, so it broadcasts signal down to the living area below. 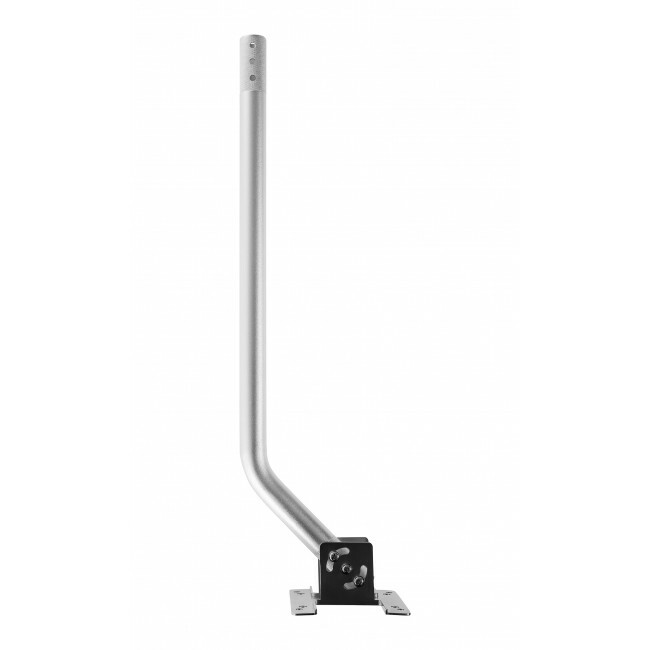 If you're using the dome inside antenna, run the cable to the center of the space that requires better signal, connect the dome antenna, and then mount to the ceiling (typically a drop ceiling) using the included mounting hardware.